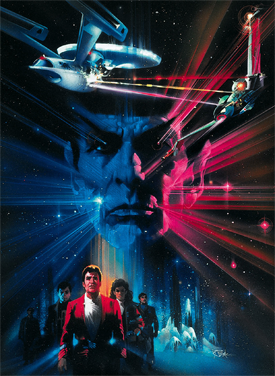 In recognition of this weekend's premiere of the latest Star Trek movie, this Sunday Best article is a ranking of that film and the previous 12 from worst to best. 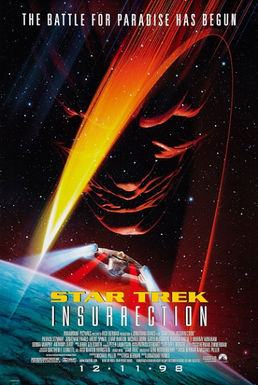 I also had a chance to finally see Star Trek Insurrection, so this list should be comprehensive, unlike the ranking from 3 years ago. The more I think of this film, the less I enjoy it. I accept that there is a lot in Star Trek that makes little sense (e.g. why do they send the Captain down on away missions? ), but this pushed all bounds of logic. Why would you clone Picard? Why? And the cheat at the end leaves things so empty. 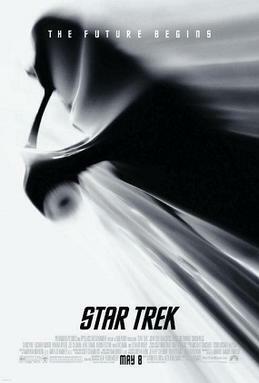 Moreso than any Star Trek, this feels like a script from the series that they threw a bunch of money at to make it look like a feature film. Not terrible, but inconsequential. Plus, I never want to see another space face-lift. I wanted to like this movie so much. And the parts with Kirk are awesome, but it always leaves me a little flat. 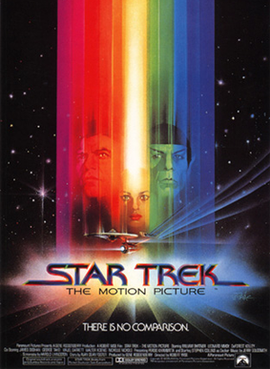 William Shatner's vanity project fails on nearly every level, except when he focuses his scenes on the complex friendship of Kirk, Spock, and McCoy. Moreso than any of the films, do you see the archetypal space that each character inhabits. But the bad parts are so bad. I go back and forth on this one. Originally I ranked this one much higher. But the more time has gone on, my affection for it lessens. There is something about the central mystery that feels cheap. And the allusions to Wrath of Kahn become more grating with time. Still, it is not a bad film but the wasted potential is a bit of a drag. This was one of the most action-packed in the series. It was taught and tense. Probably the best of the Next Generation movies. This used to be my favorite, but the time travel story now feels dated. It proves CS Lewis' principle that there is nothing so quickly out of date than what is in fashion. It's environmental message also feels a bit too preachy. 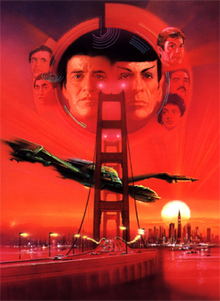 But once you get past that, it is one of the funniest and enjoyable of the Star Trek movies. 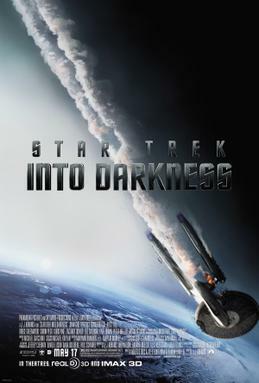 This might be the darkest of all the Trek films. It takes the characters to places that are not always comfortable. Watching the Enterprise fall or seeing Kirk fall out of his captain's chair with grief always get me. This one has actually gotten better with time. I will get a full review for this up soon. But this was a great deal of fun and it was one of the most visually imaginative of the series. 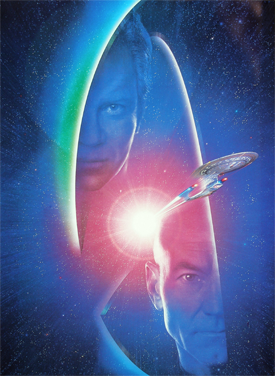 And it finally moved the New Star Trek universe films into a true ensemble instead of it only being a Kirk/Spock series. You would think that the last film with the entire original cast would be one of the worst. Instead, it is one of the best. It is a mystery. It is a thriller. 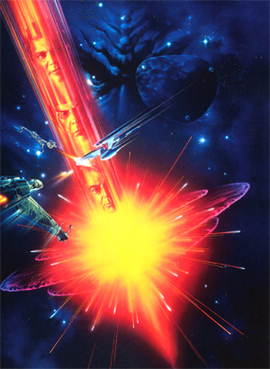 It is epic space opera. It hearkens back to the past movie and breaks new territory. 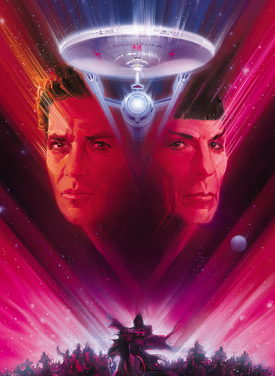 No Star Trek fan should miss this. I've probably watched this one more than any of the others. JJ Abrams made a sleek, exciting, and epic film full of fun and adventure. I don't think I truly appreciated this film until years of watching. It's story structure is perfect. It's villain is one of the best I've seen onscreen. It's themes are rich and multi-layered. It reminds us that science fiction takes us to strange new worlds only to use them as a mirror to examine the unexplored depths of the human heart. It has the most moving moment in the entire series that always stops me in my tracks. It has the best performances of the entire cast. 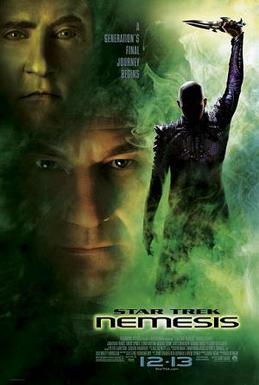 People often mock Shatner's shouting of "Kahhhnnnn!" or Montalban's scenery chewing performance. But that is only because in any other setting done by any other actors, it would not have worked. But here it is pure movie magic. 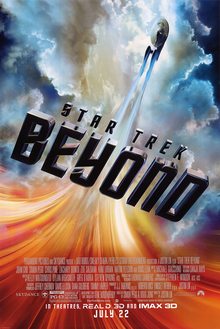 I saw the first Abrams-Trek and put my faded geekdom for the franchise away. He's doing a masterful job rebooting franchises, but we are not moving ahead. Everyone is sated and sedated with narco-stalgia. Sorry for being a downer, but the Meh summer movies and RL has made me pugnacious. If great summer movies were easy, there would be a lot more of them. I'm sorry RL has you down.